Today’s Feature Spotlight Series post will bring everyone’s attention to our Placement Test feature. 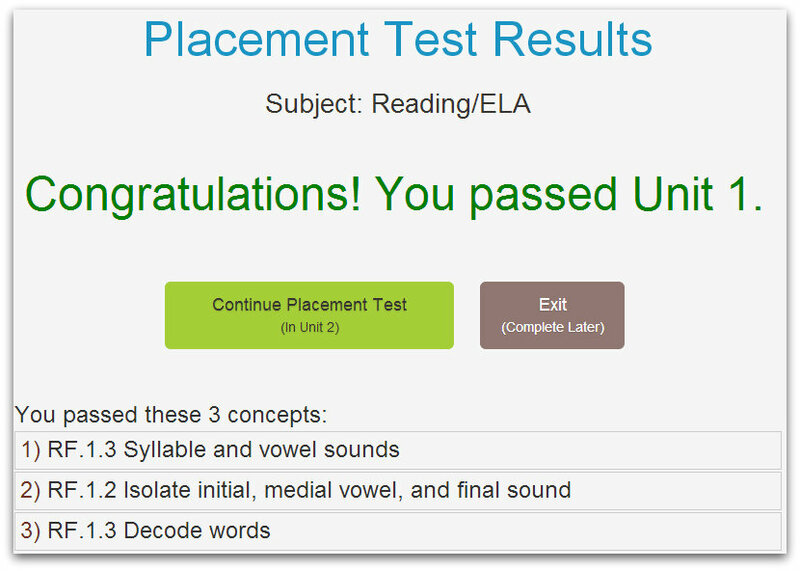 The Placement Test is a diagnostic tool to evaluate a student’s proficiency in Common Core Standards. As a result, students will be placed in the appropriate unit along their current learning path. You can get to placement tests from your learning paths page (teachers) OR from your Customize page (parents). 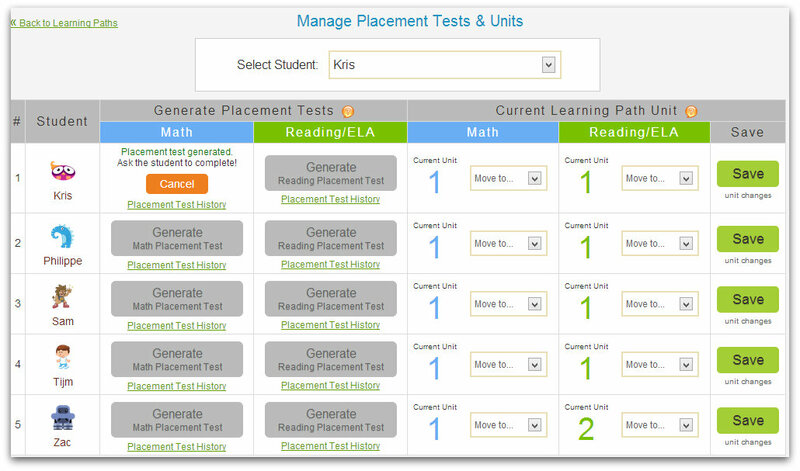 You can generate a placement test in Math & ELA/Reading at any time for each student. They will show up on your students’ dashboards to launch as shown below. Once a student completes a placement test, based on their concept proficiency, ScootPad places the student in the appropriate unit. If the student is not proficient in any concepts, the student will be placed in Unit 1. Kids will see their placement results in real-time. As the teacher or parent, view the results at any time! You will also receive an email with the results. Going forward, practices will be based on the concepts from the student’s current unit (Math or ELA/Reading). Summing up, why leverage the placement tests? It’s a tool to place your students in the appropriate unit along their current learning path.